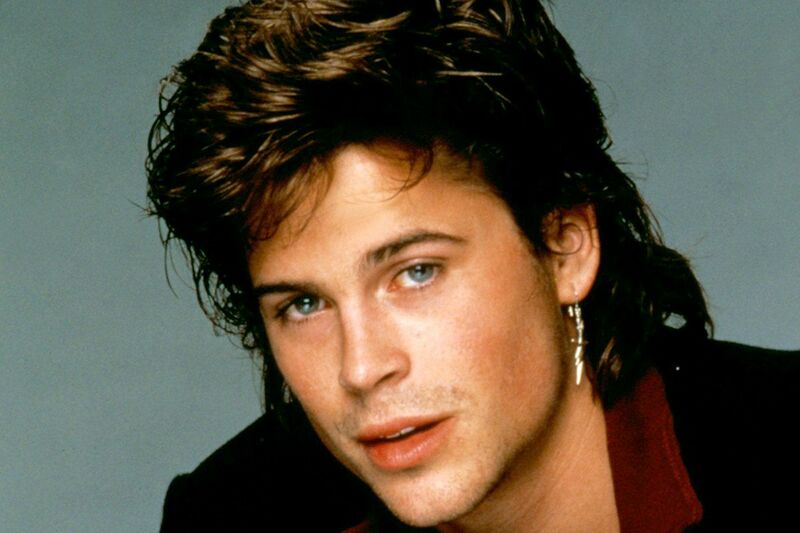 Rob Lowe, who turns 55 today, shot to fame in 1983 as a 19-year-old teen idol in Francis Ford Coppola's The Outsiders. A string of teen movies followed with a core group of actors dubbed the Brat Pack by New York Magazine in 1985. Oxford Blues, St. Elmo's Fire and About Last Night established Lowe and the rest of the Brat Pack as the aspirational youth of the Reagan era. Lowe was a Hollywood heartthrob. By the time he was nominated for Best Supporting Actor Golden Globe in 1987 for Square Dance, he had proved to be developing real acting chops alongside his party boy lifestyle in L.A.’s glamorous nightclubs. Hollywood supported Lowe in that pre-MeToo era, but his career took a knock nonetheless. It wasn’t helped by his appearance in the infamous 1989 Oscars ceremony, in which he croaked through a duet with a squeaky-voiced actress dressed as Snow White. Disney sued for the unlicensed character appearance, and The New York Times wrote the show had earned "a permanent place in the annals of Oscar embarrassments." 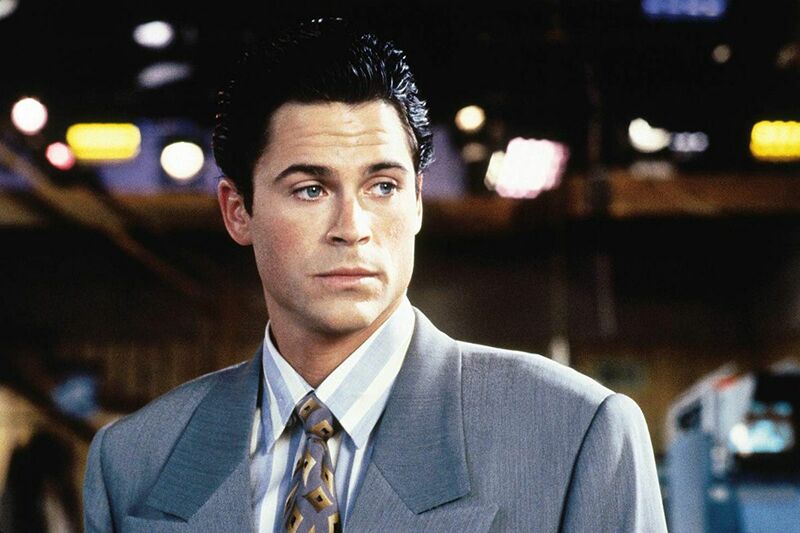 Lowe's Brat Pack years were over, but he continued to act, appearing in 1992’s Wayne’s World and the Austin Powers franchise. However, it was his move into TV that really saw him work with strong material again. 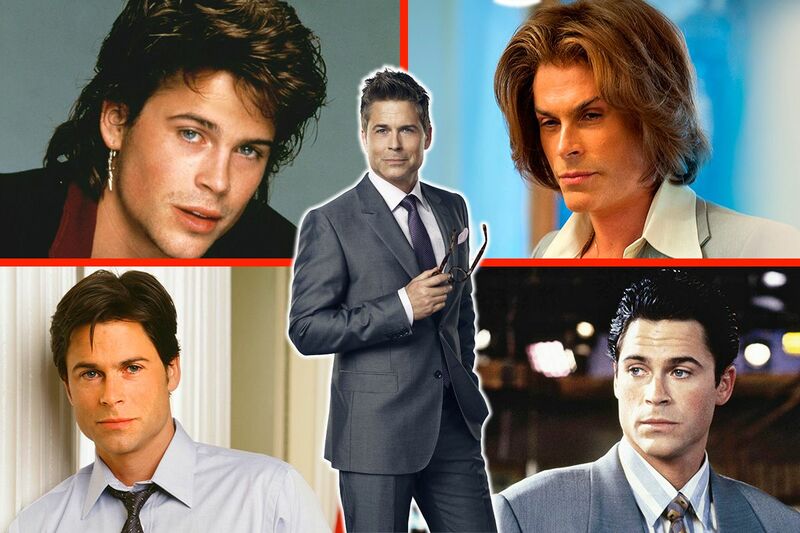 He spent seven years playing Sam Seaborn on the political drama series The West Wing, and five years on the Amy Poehler-helmed comedy series Parks and Recreation. His 2013 Liberace TV movie biopic, Behind the Candelabra, hinted at the dark potential of his pretty-boy star persona in the hands of a strong director like Steven Soderbergh. As Lowe turns 55, Newsweek looks at critical aggregation websites Rotten Tomatoes, Metacritic and IMDb to find the 15 best movies and TV shows of his career so far. 15. St. Elmo's Fire (1985). Total score: 52.38%. Directed by: Joel Schumacher. Starring: Demi Moore, Rob Lowe, Andrew McCarthy, Emilio Estevez, Judd Nelson, Ally Sheedy. Plot summary: A group of friends just out of college struggle with adulthood. What the critics said: "These aren't characters—they're character hooks." Paul Attanasio, Washington Post. 14. The Invention of Lying (2009). Total score: 57.97%. Directed by: Ricky Gervais, Matthew Robinson. Starring: Ricky Gervais, Jennifer Garner, Jonah Hill, Louis C.K., Jeffrey Tambor, Rob Lowe, Tina Fey. Plot summary: A comedy set in a world where no one has ever lied, until a writer seizes the opportunity for personal gain. What the critics said: "The movie never surpasses the gleeful hilarity of the first 25 minutes." Tom Charity, CNN. 13. Killing Kennedy (2013, TV movie). Total score: 59.43%. Directed by: Nelson McCormick. Starring: Rob Lowe, Will Rothhaar, Ginnifer Goodwin, Jack Noseworthy, Michelle Trachtenberg. Plot summary: As John F. Kennedy rises to become U.S. president, a former Marine grows disillusioned with America. When their paths ultimately cross, the course of history is changed forever. 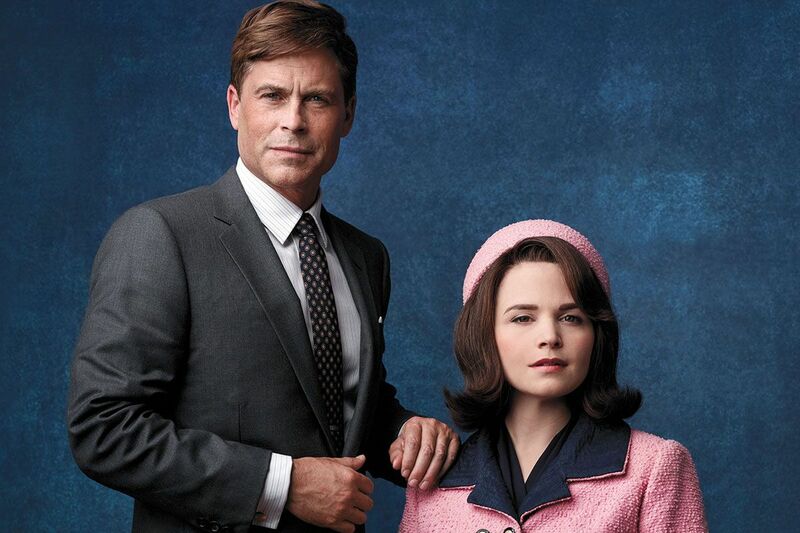 What the critics said: "Ginnifer Goodwin as Jackie and Michelle Trachtenberg as Oswald's wife acquit themselves well in this solidly watchable, quickly forgettable dramatic snapshot of indelible history.". 12. 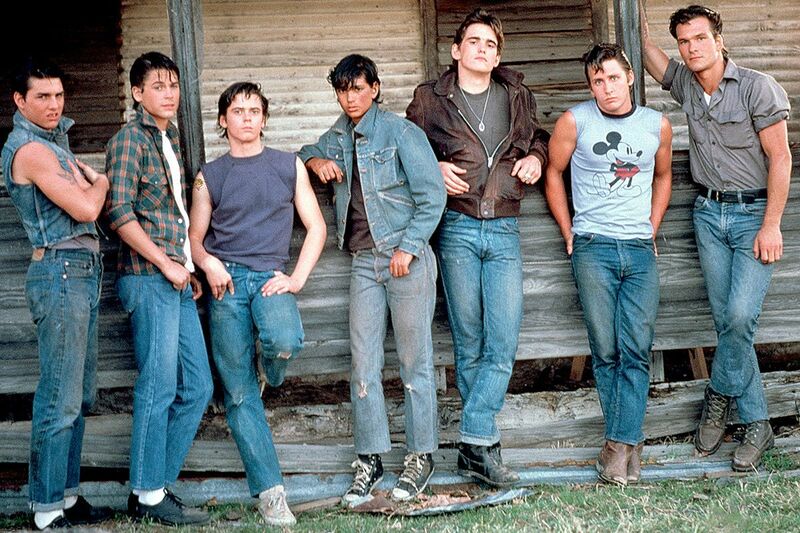 The Outsiders (1983). Total score: 61.13%. Directed by: Francis Ford Coppola. Starring: C. Thomas Howell, Matt Dillon, Ralph Macchio, Patrick Swayze, Rob Lowe, Emilio Estevez, Tom Cruise, Diane Lane. Plot summary: The rivalry between two gangs, the poor Greasers and the rich Socs, only heats up when one gang member kills a member of the other. What the critics said: "The casting of the film is something to behold. It is an incredible achievement that Coppola... managed to assemble such a hugely talented ensemble of future stars for the lead roles and it is possible to see in each one an eagerness to stand out from the crowd." whatculture.com. 11. Austin Powers: The Spy Who Shagged Me (1999). Total score: 61.78%. Directed by: Jay Roach. 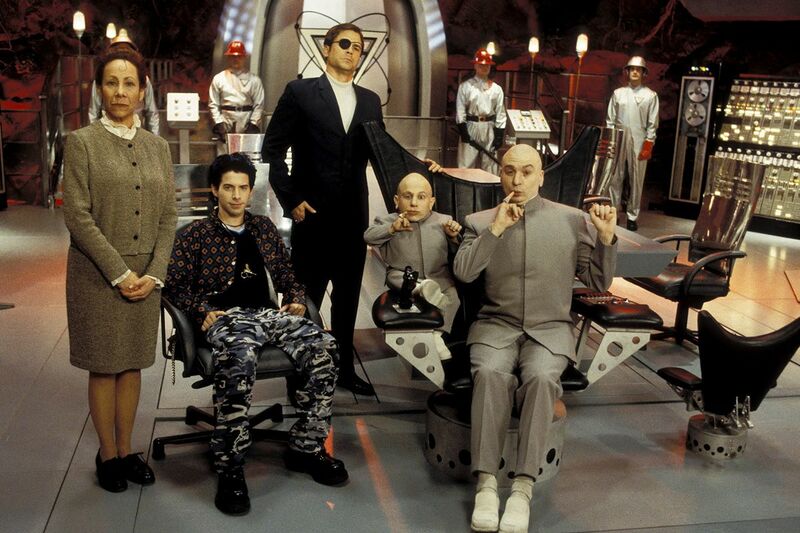 Starring: Mike Myers, Heather Graham, Michael York, Robert Wagner, Rob Lowe, Seth Green, Verne Troyer, Elizabeth Hurley. Plot summary: Dr. 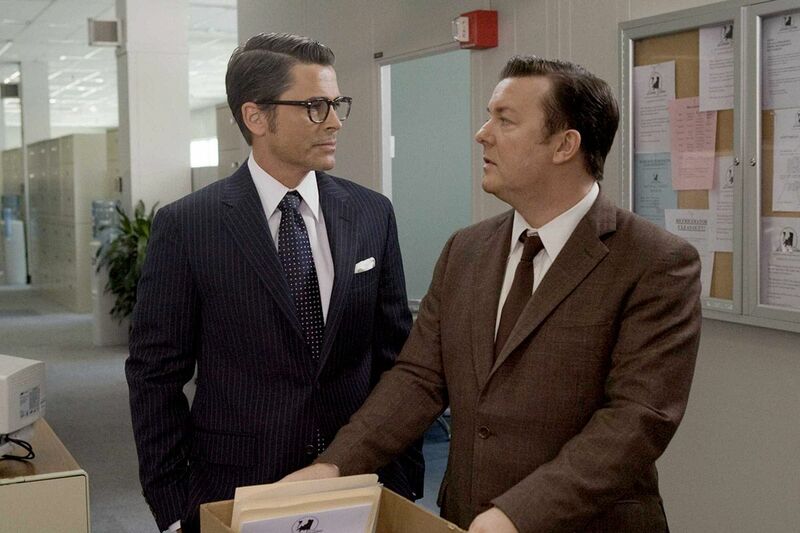 Evil is back and has invented a new time machine that allows him to go back to the 1960s and steal Austin Powers' mojo, inadvertently leaving him "shagless". What the critics said: "There is just enough joy in The Spy Who Shagged Me to make you wish there had been more of it." Owen Gleiberman, Entertainment Weekly. 10. Bad Influence (1990). Total score: 62.07%. Directed by: Curtis Hanson. Starring: Rob Lowe, James Spader, Lisa Zane, Marcia Cross. Plot summary: A handsome, mysterious stranger wheedles his way into a young executive's life, gradually revealing sociopathic tendencies. 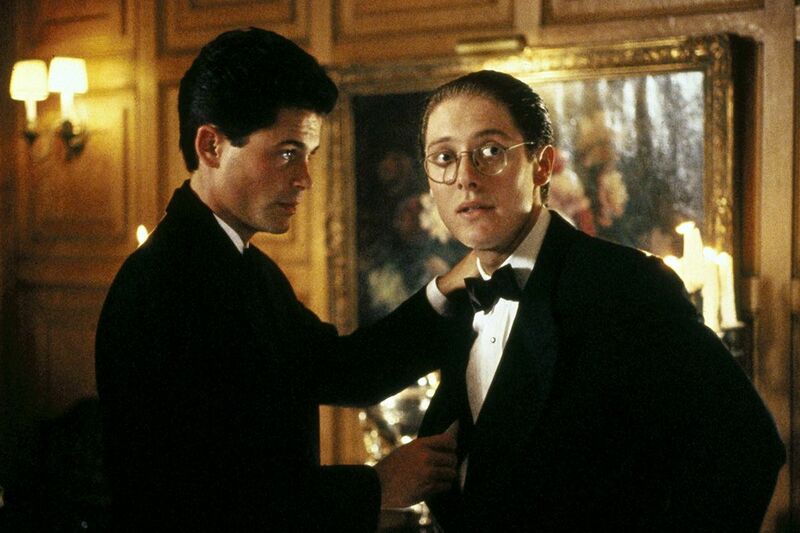 What the critics said: "Lowe ... was never a terrible actor, but the very qualities that once made him so unexciting as a leading man—his teenybop prettiness, his smiling, liquid-eyed passivity—can now seem threateningly vague and ambiguous when he’s cast as a charming psychopath." Owen Gleiberman, Entertainment Weekly. 9. About Last Night... (1986). Total score: 64.17%. Directed by: Edward Zwick. 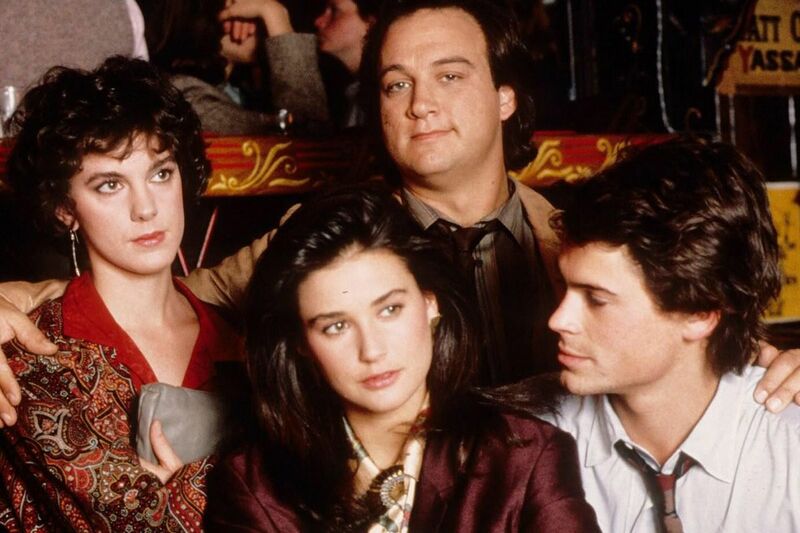 Starring: Rob Lowe, Demi Moore, Jim Belushi, Elizabeth Perkins. Plot summary: A man and woman meet and try to have a romantic affair, despite their personal problems and the interference of their disapproving friends. What the critics said: "A marriage between the creative talents of David Mamet and Edward Zwick might seem to be an unlikely union but, in the case of 1986 feature About Last Night..., it is surprisingly effective." James Berardinelli, ReelViews. 8. Wayne's World (1992). Total score: 66.35%. Directed by: Penelope Spheeris. Starring: Mike Myers, Dana Carvey, Rob Lowe, Tia Carrere, Lara Flynn Boyle. Plot summary: Two slacker friends try to promote their public-access cable show. What the critics said: "Much of the credit for the film's success lies with Spheeris, whose confident if rough-edged direction keeps it on track and cooking." Time Out. 7. Brothers & Sisters (2006-2011, TV series). Total score: 67.33%. Created by: Jon Robin Baitz. Starring: Dave Annable, Calista Flockhart, Rachel Griffiths, Ron Rifkin, Sally Field, Balthazar Getty, Rob Lowe. Plot summary: The ongoing saga of a well-to-do but down-to-earth California clan of diverse personalities, from a liberal gay lawyer to a conservative talk-show host. What the critics said: "The general principle of Brothers & Sisters has been that if a story gets too ridiculously soapy, the writers can quickly layer on a new one that's even soapier." David Hinckley, New York Daily News. 6. Code Black (2016-2018, TV series). Total score: 68.23%. Created by: Michael Seitzman. 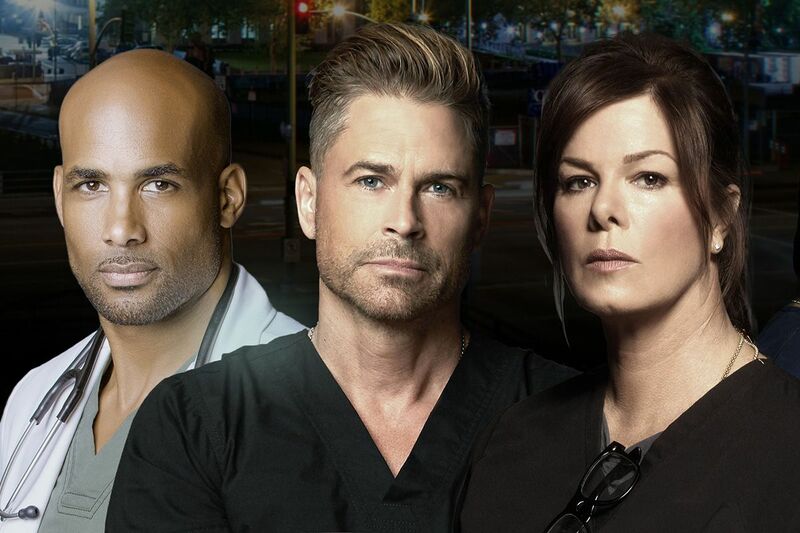 Starring: Marcia Gay Harden, Harry Ford, Benjamin Hollingsworth, Rob Lowe, Luis Guzmán, Boris Kodjoe. Plot summary: The staff of the LA County Hospital emergency room treat patients under difficult circumstances. What the critics said: "If you missed ER or would prefer your Grey's Anatomy without so much bed-hopping, this could be the show for you." Vicki Hyman, Newark Star-Ledger. 5. The Grinder (2015-2016, TV series). Total score: 73.72%. Created by: Andrew Mogel, Jarrad Paul. 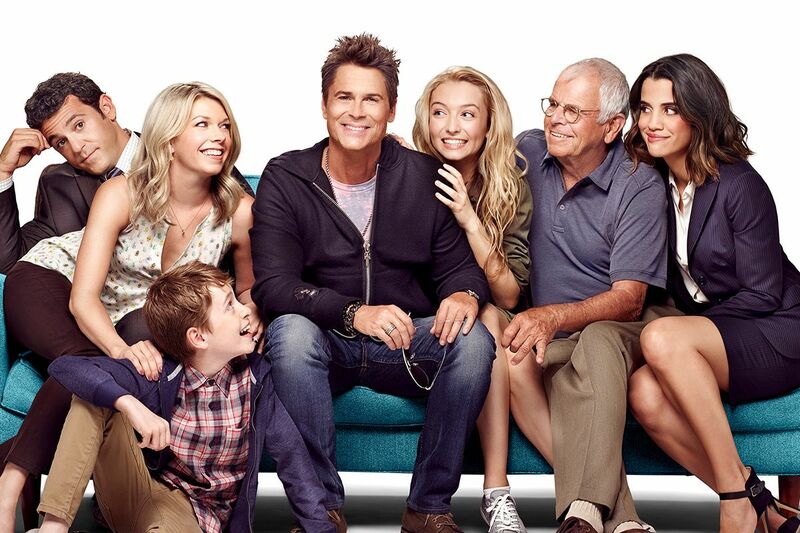 Starring: Rob Lowe, Fred Savage, Mary Elizabeth Ellis. Plot summary: Television lawyer Dean Sanderson moves back to his small home town after a stint in Hollywood, thinking that his time on TV qualifies him to run his family's law firm. What the critics said: "Lowe is a knockout, and The Grinder has a grand time mocking the celebrity culture." Hal Boedeker, Orlando Sentinel.